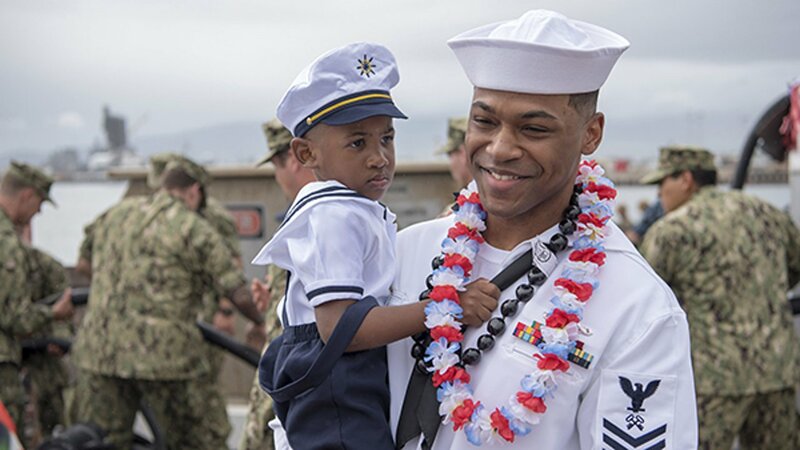 CHICAGO (WLS) -- A sailor from Chicago smiled ear-to-ear as he held his son for the first time since completing a deployment. Logistics Specialist (Submarine) 1st Class Kyle Singleton was assigned to the Virginia-class fast-attack submarine USS Texas. He was deployed in support of national security in the Western Pacific. He was photographed with his young son on the submarine pier in Joint Base Pearl Harbor-Hickam on February 14.